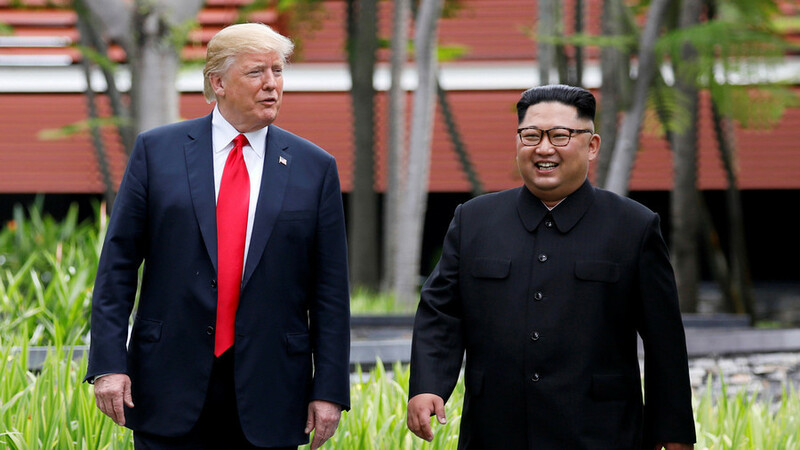 The look on his face perhaps said it all: Kim Jong-un appeared bemused, aghast and utterly galled by Donald Trump’s call for photographers to make both men look “nice, handsome and thin” prior to their working lunch in Singapore. The camera then pans to the rotund Kim who seemed startled and a little embarrassed as his translator repeats Trump’s comments back to him. Journalists in attendance reported that the North Korean leader appeared “stunned” by the remarks – although he reportedly smiled after sitting down. Trump and Kim and teams sit down for a working lunch. Asks photographers: "Did you get a beautiful photo that makes me look nice and handsome and thin and perfect?" Kim just gazes at cameras, looking somewhat stunned. Twitter leapt on the gaffe, ridiculing Trump for the diplomatic faux pas and pointing out that he is not exactly a svelte man himself.